For low-speed signal management and I2C aggregation in embedded systems that use multiple high-speed interfaces, the PI7C1401 can be used for standard small form factor pluggable (SFP), dual SFP (DSFP) and quad SFP (QSFP) designs, such as those typically found in baseband units, routers, and switches as found in telecommunications, networking and data centres. Typically, each transceiver requires a dedicated control channel to a host, which is normally implemented using low-speed signal pins and a low-speed protocol, such as I2C. 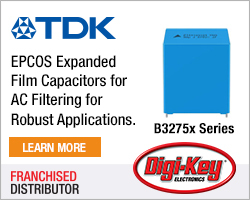 As the number of transceivers in systems increases, the host controller is required to support more I2C interfaces and other low-speed signal pins, explains Diodes. The PI7C1401 has four low-speed ports which can be aggregated into a single channel. Combining multiple quad port expanders, a host processor can control up to 56 transceivers through a single I2C or serial peripheral interface, which reduces the pin-count on the host processor or FPGA which controls the transceivers, as well as ease PCB layout and reduce the overall bill of materials (BoM). The I2C interface supports 1MHz fast mode and allows up to 14 PI7C1401 devices to share a single interface. The devices automatically configure their respective addresses by daisy-chaining their control pins. 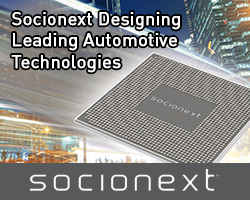 A bus speed of up to 33MHz is supported when using SPI mode, which effectively allows an unlimited number of PI7C1401 devices to share a single serial peripheral interface (SPI). The PI7C1401 also provides four user-programmable, general purpose input/output along with two outputs dedicated to driving status LEDs. 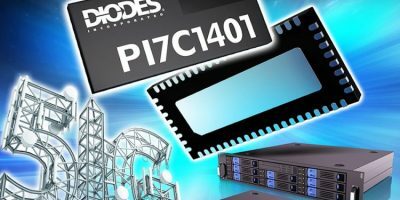 The PI7C1401 also supports automatic pre-fetching of user-defined critical data from the modules, as well as customisable data-driven interrupts, the ability to burst read/write the I2C/SPI. A broadcast mode that allows all ports to be written to simultaneously. The PI7C1401 quad port aggregator also supports separate host-side I/O voltages, from 1.8 to 3.3V. 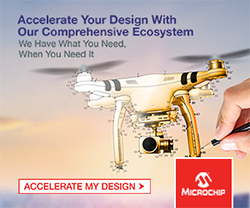 It is available in a 56-ZF (TQFN) package measuring 5.0 x 11 at 0.5mm pitch, allowing it to be surface-mounted to the underside of a PCB and close to the physical interfaces. It is available immediately.